In a hospital environment, effective and efficient communication is not only crucial – it can be lifesaving. Accident and emergency intercom provides optimum coverage, enabling individual staff members to be contacted or emergency calls to be widely dispersed. Sometimes an entire accident and emergency team needs to be called in times of crisis. Accident and emergency intercoms enable fast and flawless team orchestration at any given moment. Not only does accident and emergency intercom allow loud speakers to be installed in waiting rooms to call the next patient in an orderly fashion, they also allow background music to be played to calm and soothe patients who may be distressed and anxious, due to their accident or illness. This means the patient roster can be worked through with unparalleled accuracy and attention to detail, while the waiting room is transformed into a more comfortable and relaxing environment for those requiring medical assistance. 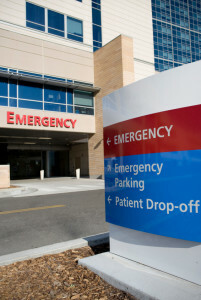 To be handled properly, complex medical emergencies often require hospital-wide networking. Accident and emergency intercoms can be linked with intercom station points throughout various departments, enabling X-Ray facilities, administration offices, medical records and surgery theatres to be called quickly. Once the call has been made, the medical professionals can conduct their conversations hands free, which is a vital feature within an environment where cleanliness is important to prevent contamination. Accident and emergency intercom integrates seamlessly with the existing data and telecommunications infrastructure. Aware of the swiftness with which technology advances and shifts, manufacturers have designed their hardware and software to be future proof. Simple updates are all that is required to sustain the network, subsequent to the introduction of new technologies. Ring Communications have proven expertise in the health sector, where communication is critical. Offering a wide range of excellent accident and emergency intercoms, Ring Communications welcome all enquiries and are ready to offer guidance on which is the best system to meet your health communication needs.